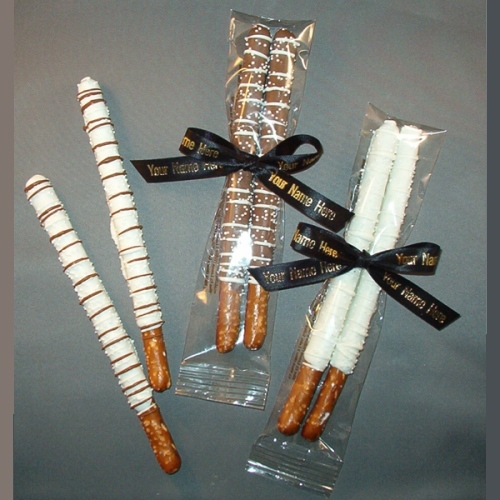 2 Chocolate Dipped Pretzel Rods in clear cello with ribbon. Your choice of: Milk Chocolate, Dark Chocolate or White Chocolate Dip and Drizzle. Other drizzle colors are available upon request. Add a Short message or Event name to the ribbon (your choice of ribbon color. 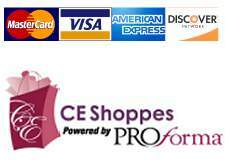 Set up fee is $16.00 and a run charge per item of $.10 each will be added to your order.